Splash has powered massive events for Budweiser, hundreds of user group events around the globe for Atlassian, and VIP concerts for Spotify. 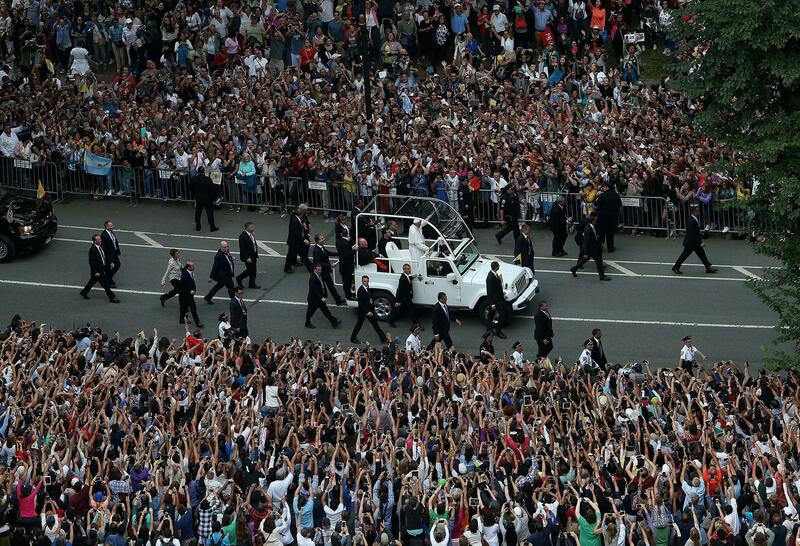 But the Papal Procession through Central Park was, by far, the biggest event to date in our 5-year history. 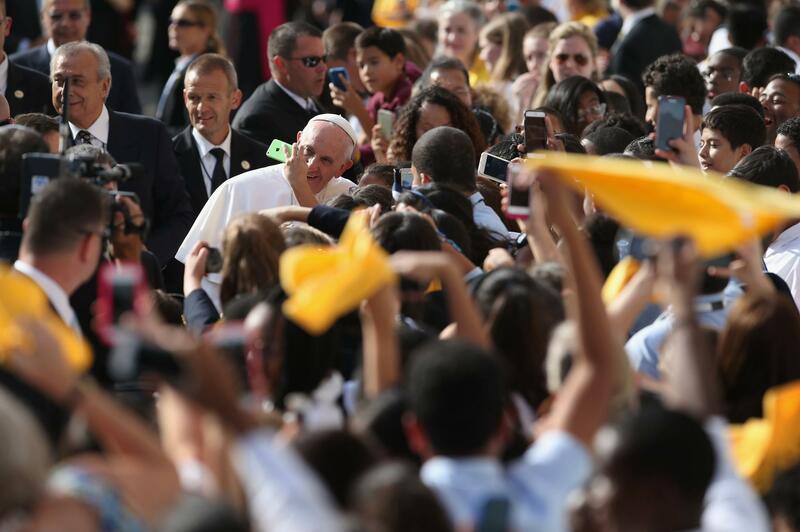 From 8:15am to 6:00pm on Friday, September 25 – Pope Francis’ last full day in New York City – the Splash squad worked side-by-side with members of Mayor de Blasio’s administration, NYPD, TSA, and 125 volunteers to pull off one of the biggest spectacles of Pope Francis’ 6-day visit to the United States: The Papal Procession through Central Park. Preparations had been going on for weeks – from working with the City of New York to launch the ticket giveaway contest site and the RSVP site for 40,000 lottery winners, to strengthening the Splash on-site check-in app to handle the 80K+ ticketholder check-ins, to working side-by-side with the Mayor’s Office and Secret Service to nail down all of the event logistics. As Party Scientists, we wanted to take a minute to reflect on this momentous day in our company’s history. What was it really like working the security and ticket scanning checkpoints? What did the Splash team learn that day? 01 | Attendees appreciate it when you treat them like human beings. OUR ADVICE: Understand that while your event staff may know every single event detail, your attendees don’t. Make every effort to be nice, and helpful. Above all, treat them like human beings. When the lines are long and the sun is hot, treat your guests like they’re competing in a marathon. As they pass by, try saying things like "Keep it up, you're almost there!” Nine times out of ten, you’ll get a smile. 02 | Empathy is key. OUR ADVICE: Abiding by the hard-and-fast rules – like closing the gates when instructed by security – is incredibly important. Understand that these decisions can often cause tensions to flare. However, identifying with the crowd’s frustrations always helps to soften the blow. Most important of all: make sure to tell you entire team to keep smiling no matter what. 03 | Make sure your attendees know what’s next. OUR ADVICE: ﻿At massive public events, people feel so much more comfortable if they just know what to expect next, or the reasoning behind certain decisions. Always anticipate and quickly address the moments where uncertainty will run high. For example, make sure your team has an accurate read on how long the estimated wait time is, or why certain traffic flow changes were made. 04 | Make sure all event staff are on the same page. 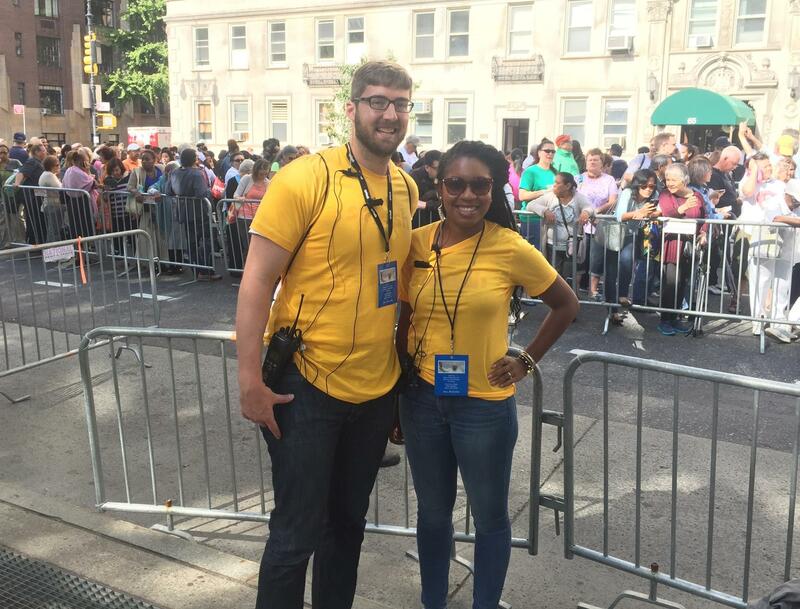 OUR ADVICE: Place your guest-facing event staff where their strengths can be most utilized; don't place them in positions that might make them uncomfortable. Another important thing to note – make sure you agree on a communication system ahead of time, like a group text or handheld radios. This way, you can ensure that everyone on the staff immediately knows when there's an important update to pass onto guests. 05 | Make sure your ticket scanning team is comfortable. OUR ADVICE: Your ticket scanning team must have everything they need to do their jobs correctly and efficiently. So plan ahead – you can never have too many backup plans, backup iPads, or backup chargers. And don't hesitate to let them use an iPhone or iPod. Both are perfectly acceptable and look just as professional as an iPad. Oh, and make sure to instruct them to never be intimidated by a long line. When you’ve got the Splash app, no line is too big. 06 | Control the crowd traffic before guiding them to ticket scanning. OUR ADVICE: Event planners need to create on the fly and create efficiencies in the details. For example, Splash had a firm structure for crowd flow when we arrived that morning, but we later laid out key barricades to funnel traffic. That part was all determined on the fly. Come prepared to think on your feet. The more you iterate on your own processes, the more efficient you’ll become. 07 | Form relationships with event partners prior to the madness. OUR ADVICE: At large events, it’s imperative that the entire event team introduces themselves to the entire event team – from security to the check-in volunteers. Encourage them to make friends early on. If you know people’s names ahead of time, for example, you can address them directly on radios, which makes communication 100x more efficient. 08 | Be flexible and never lose your cool. OUR ADVICE: There’s no reason to ever be rude or condescending to anyone in line for a huge event. Most people will be really sweet; make sure your staff is just as sweet. And remember – you can plan everything down to the last detail, but know that something will always throw you for a loop. It's important to adjust gracefully and exercise patience and flexibility. If a plan gets thrown out the window, devise a new one. If you come up against a wall, just pivot and try another direction. But never ever lose your cool. Kayla (Zerby) Kaplowitz is the Director of Communications at Splash. She is responsible for all outbound communications and media relations, and works closely with the Sales, Product and the Customer Success teams to execute marketing initiatives to reach key user groups. Previously, she ran PR and Communications for Code and Theory, one of the largest independent creative agencies in the U.S. Prior to that, she cut her teeth in PR at boutique firms in Washington, D.C., Newport Beach, Calif, and NYC. She earned her B.S. from Rochester Institute of Technology (RIT) in 2005. She is an absolute news junkie, a skiing fanatic, and set up her first Splash page in 2013; it was a family reunion in the Poconos called #ZerbyFest.